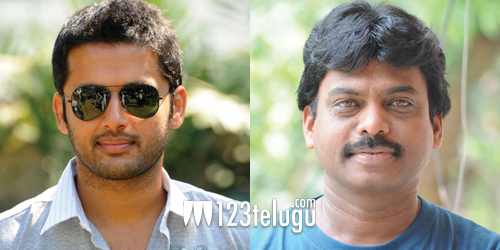 The hunt is on to find a heroine for young hero Nithiin’s next movie. This film will be directed by Karunakaran and shooting will start in the first week of March. This film is expected to be a comedy entertainer and a good actress is required to pull off the role convincingly. Apparently, two leading actresses were approached for Nithiin’s project but things did not work out due to dates issue. Now, other alternatives are being looked at. Apparently, some new comers are also being considered. Pre-production work has been completed and the film is all set to roll. Nithiin is in good form these days and he has managed to pull in good revenues for ‘Heart Attack’, even though the film did not get a very good talk. This movie is going to be produced on Nithiin’s home banner.